On the eve of the midterm elections, politicians of all stripes and parties are — finally — beginning to realize that clean energy isn’t partisan or political. Partly, that’s because of the growth of clean energy jobs in every state in the country — red, blue or purple. More than 3.2 million Americans now work in solar, wind, energy efficiency, clean vehicles and manufacturing and other sectors, according to E2’s research. Yes, states like California and New York are leaders in clean energy. But so are Texas and North Carolina and Ohio and Oklahoma. At least four resoundingly Republican states — Kansas, Iowa, Oklahoma and South Dakota — now get 30 percent of their energy from wind. About 10,000 people work in wind energy in those states alone. And nationally, there are now more clean energy jobs in Republican congressional districts than in Democratic districts. “Republicans are seeing a huge number of big paying jobs being created in their districts and in their states,” Dan Reicher, Assistant Secretary of Energy in the Clinton administration and formerly Google’s director of climate and energy told the conservative Washington Examiner for a story headlined: Republicans learn to love wind and solar jobs after once mocking them. “It’s the economic reality,” he said. Recently, I got a good taste of this in a place I didn’t expect. Louisiana probably isn’t the first place you’d pick when you think about clean energy. It’s always near the bottom of list of states for energy efficiency, partly because the state utility commission has resisted energy efficiency in favor of traditional power sources. There’s no wind energy development in the state, where the oil and gas industry is a major employer and holds lots of sway. Once a bright spot for solar in the South, mixed policy signals from Baton Rouge often have clean energy companies guessing about their futures. In Abita Springs, LA, Mayor Greg Lemons (center) and others explained why they want their town to get 100 percent of its energy from renewables. While Louisiana has a Democratic governor, its legislature is controlled by Republicans. In Congress, both of its senators and all but one of its four House members are Republicans. After visiting recently with business leaders, political leaders and others in Southeast Louisiana, it became clear to me that a lot of people in the Bayou State — Republican, Democrat, other — want more clean energy. The City of New Orleans has made very real progress on energy efficiency. It’s now taking steps to advance a community solar program, and possibly a city-wide renewable portfolio standard. At the state level, several energy efficiency pilot programs are in place, and the utilities commission is considering whether to let them grow. And in the town of Abita Springs mayor Greg Lemons wants his city to get 100 percent of its energy from renewables. It’s not because Lemons is a tree-hugger or a left-leaning liberal — quite the opposite. “I’m a conservative Republican,” he told me. Lemons’ goal for 100 percent renewable energy in Abita Springs by 2030 has nothing to do with politics, but everything to do with money. It simply makes budgetary sense for the town to get 100 percent of its energy from the sun and wind. I met Lemons and a few businesspeople and others at Abita Brewing Co., which runs partly on solar power and wants to be one of the most energy-efficient breweries in the country. 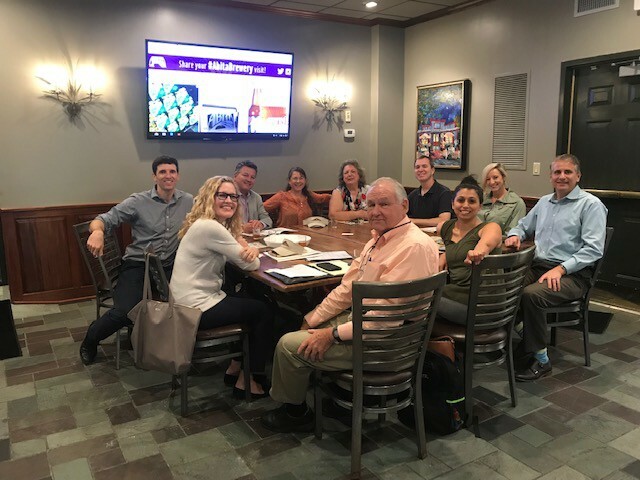 Over a glass of Purple Haze, Abita Brewing president David Blossman told me his company was shifting to clean energy for the same reasons the town wants to: Because it makes financial sense. About an hour north of New Orleans, Abita Springs is in St. Tammany parish, where nearly 75 percent of residents voted for Donald Trump in 2016. But as Lemons and others know, partisan politics shouldn’t matter when it comes to clean energy. Indeed, a Pew Research Center Poll in May showed that clean energy is almost as popular with Republicans as it is with Democrats. 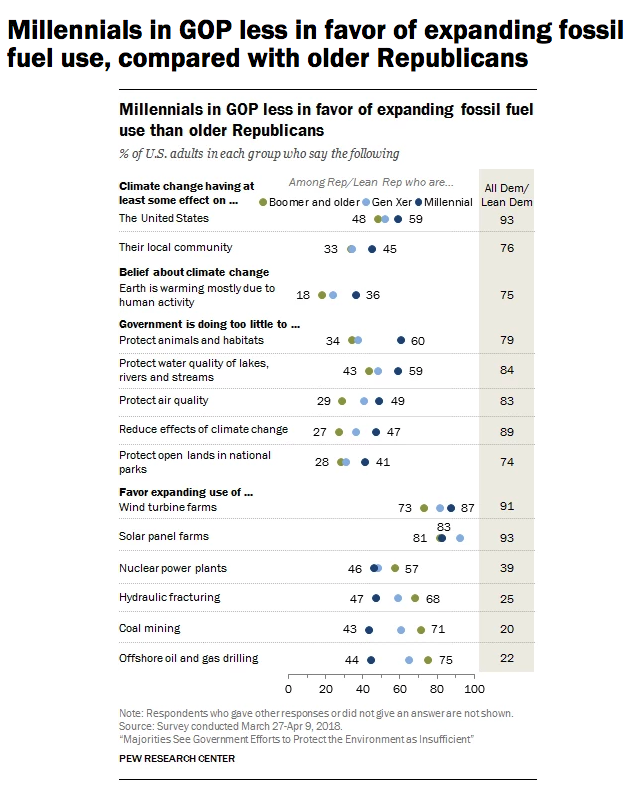 According to the poll, Republicans of all ages overwhelmingly favor expanding wind and solar more than any other energy source, including nuclear, oil, gas or coal. Millennial Republicans lead the way, with 87 percent wanting more wind energy and 83 percent wanting more solar energy. In Abita Springs, Lemons said what’s happening in his town can be a model for the rest of America. -Bob Keefe is executive director of E2. Support for Clean Energy Checks All Boxes On Eve Of Midterm Elections was originally published in e2org on Medium.